Why am I posting on a Tuesday? 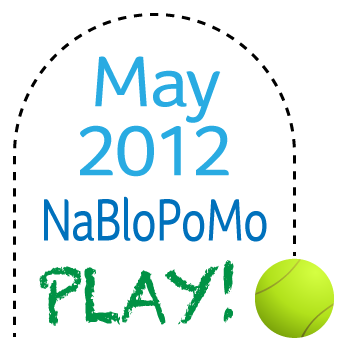 Because it's May 1, the first day of NaBloPoMo. I decided it's time to reach out to a wider community through my new blog here, so I'm participating. BlogHer does this every month, and every month has its own theme. The theme for May is "Play." I've made a nifty blog badge here, which you are welcome to use if you are also participating.